Ask any rural Frenchman if he has a pocket knife and he will invariably reach into his pocket and extract a weathered and well used Opinel Nº 8. When I lived in France in my mid 20’s I felt I had finally integrated into the local culture when I sauntered into the nearest Tabac and purchased my very own Opinel knife. If memory serves I paid all of 80 francs for it, or less than $15.00. 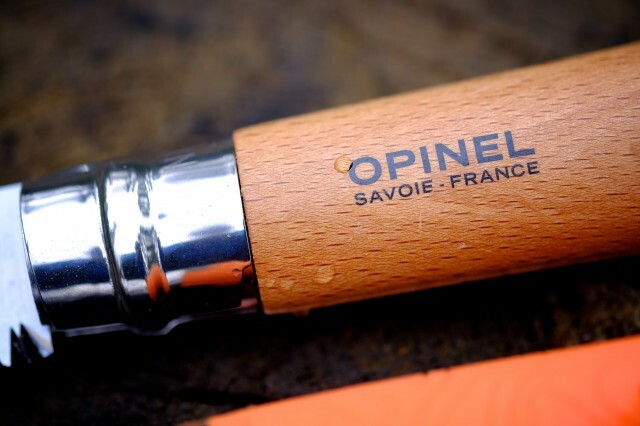 The Opinel pocket knife has been the preferred knife of working Frenchman for over 126 years. 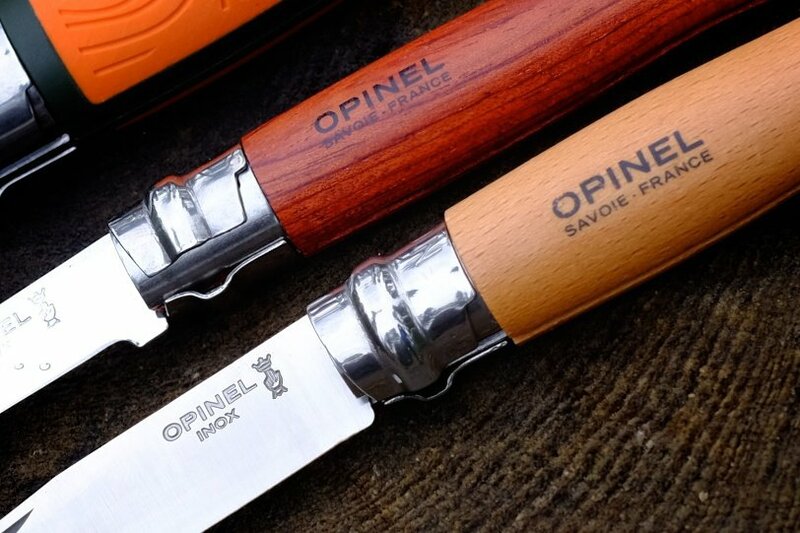 Founded in 1890 in the Savoie region of France, Joseph Opinel set out to create a simple and affordable knife for farmers, vignerons, and herdsmen. Seven years after opening his business, he had a complete line of knives available in 12 sizes. Not just a skilled craftsman, he was a savvy businessmen and by the turn of the century began marketing his knives heavily to the rail workers of Chambery. They in turn took their knives to the far reaches of France creating a widespread demand for the product. Descendants of Joseph Opinel continue to pilot the company and oversee every detail of the 15 million knives they make each year. The classic Opinel is, and will always be, the Nº 8. With a blade just a shade over 3-inches long, it fits within the palm of a man’s hand. That has long been the measure of a legal length blade in France. Any blade longer than the width of a man’s palm is considered illegal. 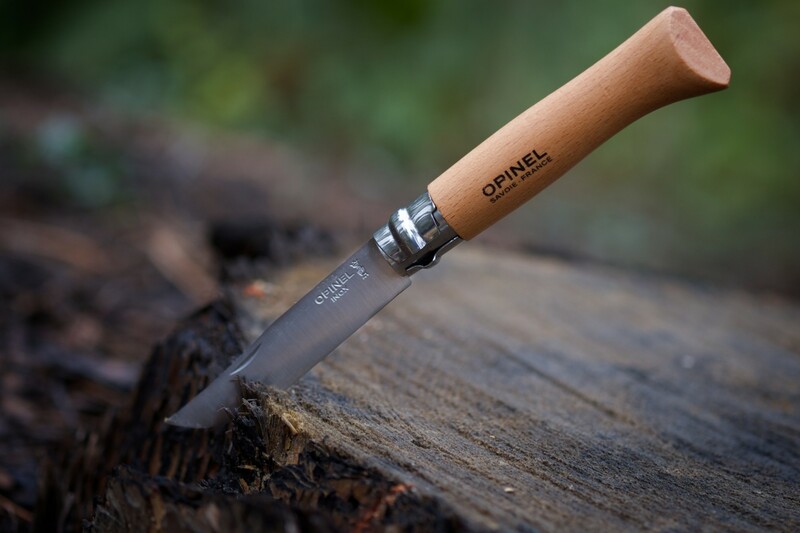 With a beechwood handle and a XC90 high carbon steel blade, an Opinel is an uncomplicated product. A twisting locking mechanism at the hinge keeps the blade secured in the open or closed position. 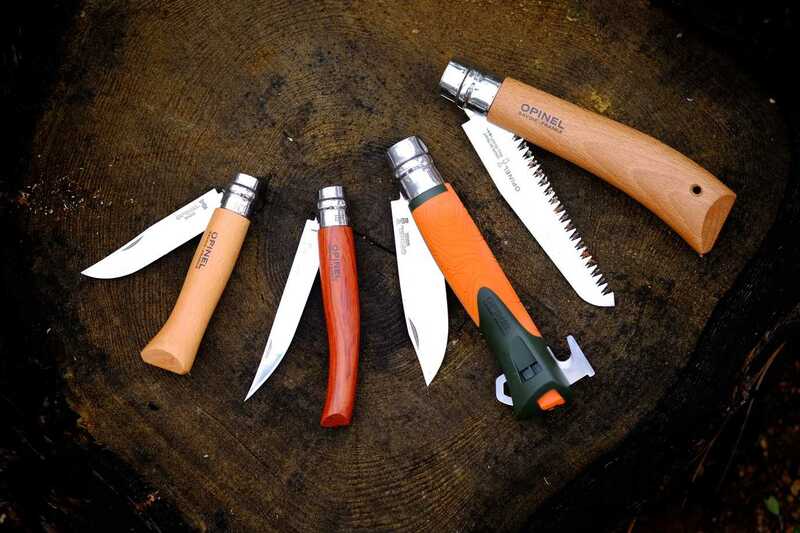 It didn’t take Opinel long to see an opportunity to expand their customer base and provide current Opinel afficianodos with a variety of options. Their line now includes knives with stainless steel blades, exotic wood and bone handles and unique features. The Slim Line series has become one of my new favorites. With a chromed Sandvik 12C27 stainless steel blade with a long and sleek shape, this is a knife best suited to more civilized cutting tasks. I haven’t met a block of cheese or link of sausage it couldn’t dispatch. 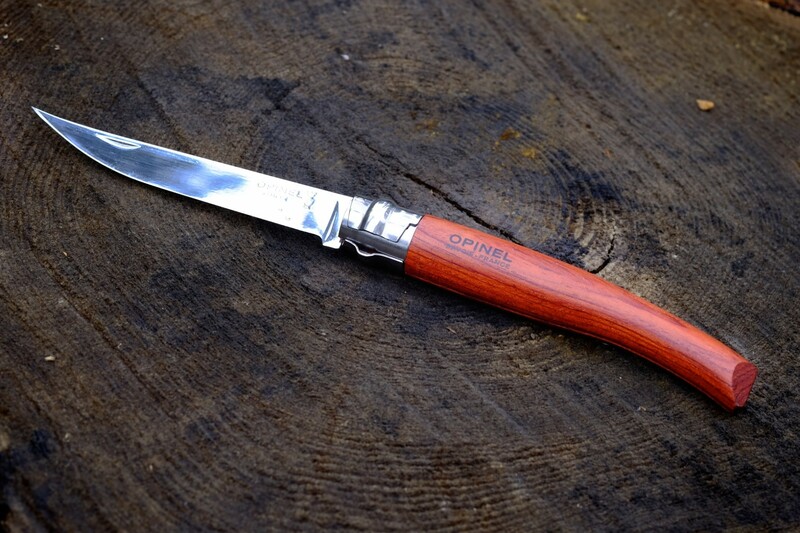 The Bubinga wood handle is very attractive but retains the Opinel simplicity I have come to expect of the brand. 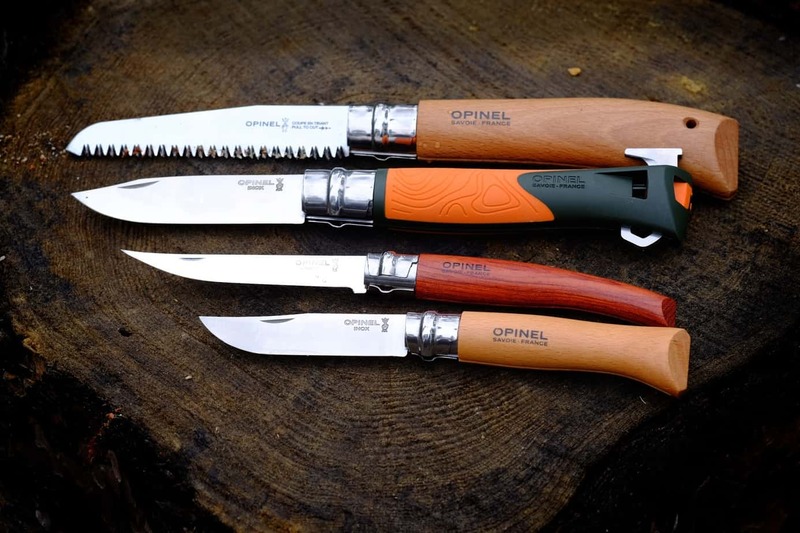 On the more modern end of the Opinel spectrum is their new line of knives aimed at the outdoor enthusiast. 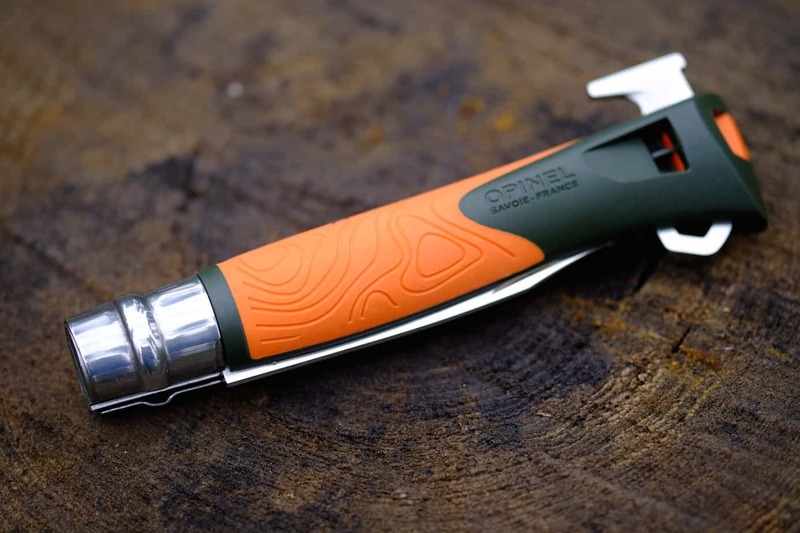 The Nº 12 Explorer is unmistakable as an Opinel, but clearly designed for the demands of backcountry use. For starters, it’s big. The 10 cm blade is made of Sandvik 12C27 stainless steel with chrome added for better edge holding. 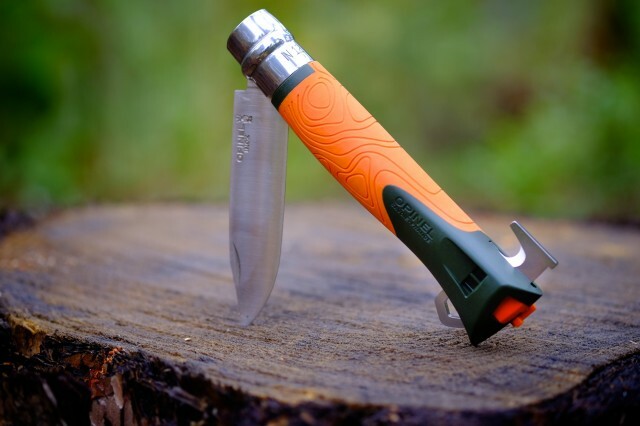 It has the classic locking ring found on most Opinel knives and a unique sliding lanyard ring at the end of the handle that can be positioned to expose a cord-cutter. The rubberized handle also includes a high-decible whistle for emergency signaling and even a fire striker. 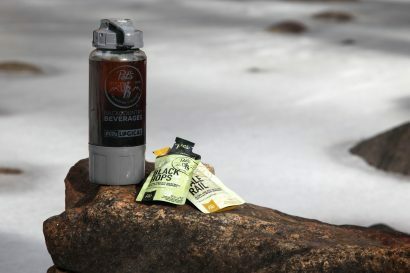 It’s a stout backcountry tool, perfect for an emergency bag. There are times when I discover a tool I didn’t know I needed, and that applies to the Opinel Nº 12 Saw. The first time I put it to use to cut some kindling I couldn’t believe how effortlessly it cut through a wrist-sized branch. The shape of the handle fits perfectly in my hand giving a secure grip for forceful cuts. The serrated blade is wickedly sharp earning the Nº 12 Saw a permanent place in my backpack. 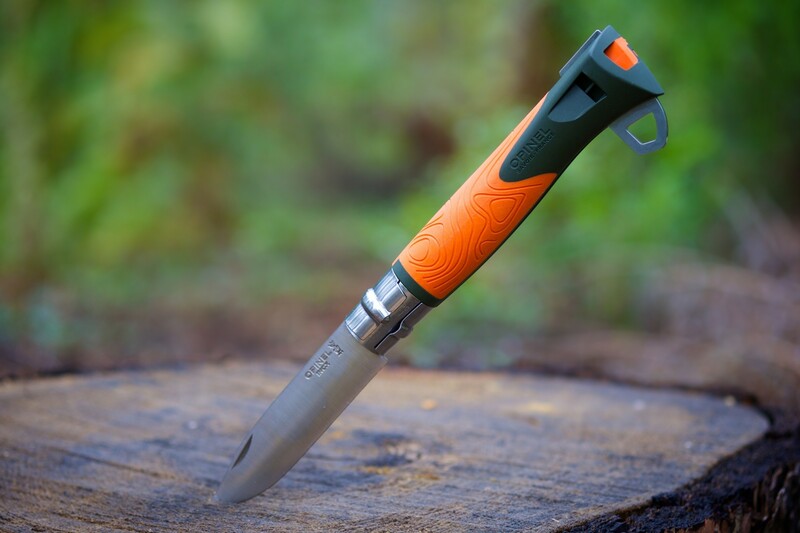 Sold as a garden tool, it has endless applications for the backcountry traveler. Good tools, the kind you can rely on, are few and far between. 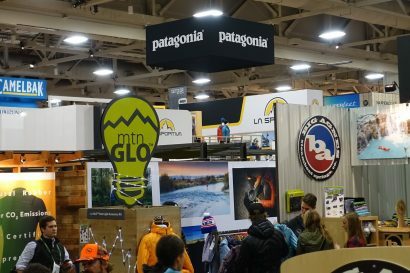 In many cases, they demand high prices and are difficult to acquire. This does not apply to Opinel. 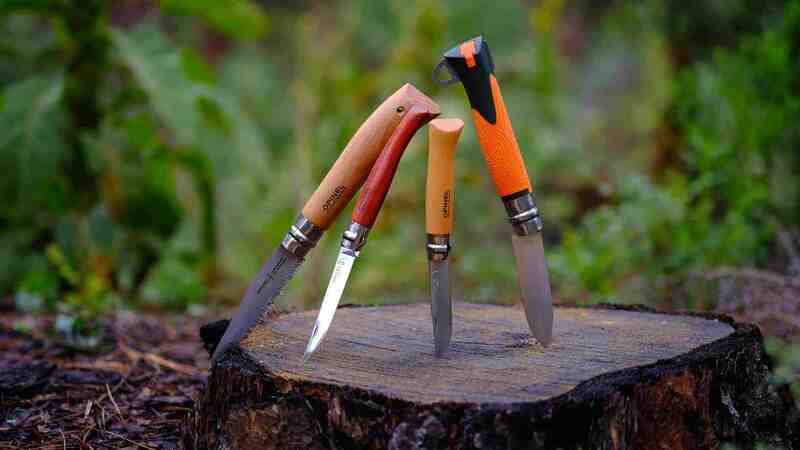 Readily available and unusually inexpensive, Opinel knives possess a harmonious blend of time-tested quality and a modern sensibility to provide the consumer with what they need, and nothing more. There isn’t a great deal of pomp and circumstance with an Opinel, but when you need a knife, and a good one at that, they prove why after 126 years, they’re still going strong.